Today, I would like to introduce everyone to the second interviewee in my Meet the Author series. She is science fiction author, Mary Fan. Question: Hi, Mary! Welcome to Susan Finlay Writes blog site. Can you tell us a bit about your background as a writer? Answer: Hi, Susan! Thanks for hosting me! I’ve been dreaming up stories for as long as I can remember. I recall, when I was maybe nine or ten years old, I had this Word document with a list of book ideas—plots, characters, conflicts, etc. Around seventh grade, I got really into space operas, and I wrote my first (not so good) sci-fi adventure. Over the next few years, I scribbled down my teenage ramblings and dreamed of someday writing something publishable. I read all the usual guides on writing and was even lucky enough to be mentored by sci-fi writer Allen Wold. I started writing Artificial Absolutes in summer of 2011, and I haven’t stopped writing since. Question: Before I knew you as Mary Fan, I met you as Liberscriptus on Authonomy, an online writer’s community run by HarperCollins. How did you come across the website? What was your experience like? Answer: Originally, I wasn’t going to publish Artificial Absolutes. I didn’t think I had a chance, with the market so saturated and all that. The plan was to throw the book up on Kindle and let it sit without promotion or anything, mostly because I needed some kind of closure. Then, around last January, Nikki landed and agent, and I realized that maybe there was room out there for new writers after all. I didn’t have a clue as to how the whole publishing game worked, so I started browsing publishers’ websites. I stumbled upon Authonomy while poking around HarperCollins’, and it seemed like a great place to get feedback. So I uploaded Artificial Absolutes, which was then titled Astral Sea: The Pandora Project, joined a sci-fi critique group, and began swapping reads. For the most part, I only lurked in the forums to get tips on writing and publishing. Most of my activity consisted of reading and commenting on the works of others, especially fellow sci-fi writers. Authonomy was a great place to meet people and discover new books. In fact, thanks to the read-swapping, I had the chance to enjoy a lot of books that I otherwise wouldn’t have thought to read (like your thriller, Chameleon). I’m friends with many of Authonomites on Facebook and have reviewed and interviewed several of them for my blog. It was through Authonomy that I found both my publishers—Red Adept Publishing for Artificial Absolutes and Glass House Press for my YA fantasy/dystopia series, Flynn Nightsider. Around this time last year, Red Adept’s owner, Lynn McNamee, posted a call for submissions in the forums. I figured there was no harm in submitting, and I must have done something right, because the acquisitions editor liked my little space opera. I posted the first ten chapters or so of Flynn Nightsider on Authonomy last May as part of a friendly “March Madness” style competition run by Authonomite WiSpY. There was one extra spot in the “thriller” category, and while Flynn didn’t exactly fit, I thought I might as well get some feedback. A few months later, I was contacted by Glass House, a small press specializing in YA speculative fiction, who had stumbled upon Flynn on Authonomy and was interested in seeing more. I scrambled to finish the manuscript and submitted, and again, I must have done something right, because they liked it. I’m not as active on Authonomy anymore, but I still pop into the forums every so often, mostly to lurk and see if anyone’s posted any interesting news or tips. Question: Your science fiction novel, Artificial Absolutes, was just released by Red Adept Publishing. Can you tell us a bit about your book? What inspired you to write it? How did you come up with the new title? Answer: Artificial Absolutes is a space adventure set in the distant future. Unlike most space operas, it’s not about saving the galaxy. The main character is an ordinary young woman, Jane Colt, whose boring life is upended when she witnesses her best friend, Adam, being kidnapped. An extensive cover-up thwarts her efforts to report the crime, shaking her trust in the authorities. Only her older brother, Devin, believes her. The next day, the police inform her that Devin shot their father. Unwilling to believe them, she goes on the run with Devin and learns that he was framed by the same people who took Adam. The idea for Artificial Absolutes started with Jane. She was a character I’d developed for a contemporary short story that never quite got off the ground. So when I decided to write a space opera, I thought, what if the main character’s an ordinary citizen rather than a space cadet or starship captain or something? From there, it was a matter of figuring out the plot and the themes. I knew I wanted to work in the idea of the real versus the fake, not just in terms of humans versus machines, but also by exploring what it means to be artificial. Without giving too much away, all I can say is that there’s a spectrum of characters, from the completely human to the completely mechanical, and most fall somewhere in the middle. The wonderful editors at Red Adept were the ones who came up with Artificial Absolutes, which is a play on “false gods.” It refers to the idea that many of the things people believe in could be fake. Questions: Can you tell us a bit about book trailers? Answer: The easiest way to explain book trailers is to say that they’re basically like movie trailers, except for books. They’re short videos, usually posted online, meant to entice a reader to pick up a book. Now, book trailers come in all shapes and sizes, and no one can really agree on whether they work as a marketing tool. All I know is that they’re cool to have, and they can’t hurt. Actually, I have picked up a few books thanks to book trailers, and I’ve had people tell me that they picked up a book because the trailer was enticing. Not all book trailers are created equal. The earliest ones I saw were put out by Big Six publishers to advertise their bestsellers. They were generally glowing quotes by critics set against cheesy dramatic music (boooring). I’ve also seen the Big Six put out trailers that are meant to literally imitate movie trailers; that is, they have actors act out scenes in the books (like the trailer for Pride and Prejudice and Zombies). Personally, I find those trailers incredibly awkward, as the acting is generally wooden, and the production quality is clearly trying too hard to be something its not. Movie trailers work because they tease audiences with glimpses of the film. But there is no full length version of the snippets seen in acted-out trailers, so why are they there? These days, the trend seems to be toward using stock images and footage that evoke a book’s atmosphere, coupled with a brief description that ends in a hook. I rather like this approach, as it does the same thing as a book’s cover does, except in video form. When I made my trailer for Artificial Absolutes (http://www.youtube.com/watch?v=8OTC1tfb6y8), I used a combination of “found” footage and filmed footage. The scenes I filmed weren’t meant to literally depict the scenes in the novel, but rather to capture the story’s spirit. The narrator, speaking in the voice of the protagonist, gives the reader a back-of-the-book type of description to set up the conflict. In my opinion, the most important aspect of any trailer is the music, since it’s so evocative. I wrote my own music to bring out both the danger aspects of the book and the more contemplative style it’s written in. The jury is still out as to whether my trailer has helped generate new sales, but I’m pretty sure it helped nudge people who were on the fence. Question: You’ve signed with another indie press to publish your novel, Flynn Nightsider. Can you tell us a bit about that book? What inspired you to write it? Do you have a publication date? Answer: Flynn Nightsider takes place in a dystopian, post-apocalyptic future in which an Enchanter-run totalitarian state oppresses the non-magical in the former United States. In this future, the evil Lord of the Underworld has already come and gone, leaving Earth a shattered shell of its former self, plagued by monsters and malevolent spirits. Flynn is a 16-year-old boy who has had enough of the government’s oppression and runs away to join a group of rebels. However, he soon learns that not everything is what it seems. The idea came through a brainstorming session my teenage sister and I started for fun while bored. We were talking about how bizarre we found it that in so much fantasy, those with magic are forced to hide from those without. Doesn’t magic make one more powerful, even if one’s numbers are fewer? What would happen if we turned that dynamic on its head? From there, more ideas started popping into my head. As a tribute to my sister, one of the main characters (and arguably the most memorable one) is based on her and even shares her nickname, Firedragon. Flynn Nightsider is tentatively scheduled for a March 2014 release. Question: There’s a lot of information out there about how to submit to publishers, but not much on what happens once you get the coveted contract. Can you share some of your experiences with working with a publisher? Answer: First of all, there’s a lot of waiting. Editors are very busy, and once you sign a contract, your book gets put at the end of an editing queue. There are generally three rounds of editing: content, line, and proofreading. The content portion is usually the toughest, because that’s where plots get reshaped, characters get developed, etc. Most people probably don’t realize just how different a signed manuscript can be from the final published work. During content editing, characters can get cut, storylines added, chapters reordered, etc. I was lucky with Artificial Absolutes; my content editor only had nitpicks (I think it has something to do with the fact that I, being a perfectionist, had already picked at and rewritten the manuscript so many times before submitting). Line editing was actually tougher for me than content, because that’s where you work on each sentence to improve the book’s flow. Personally, my downfall was long, verbose sentences and lack of action verbs. Usually, the story itself doesn’t change once you get to line editing—only how it’s told. That being said, line editors will also keep an eye out for plot holes or inconsistencies just in case. After that, it’s on to proofreading. Proofreaders comb through the manuscript for typos, small grammatical errors, etc. Usually, at this point, the manuscript is out of your hands, although proofreaders will also keep their eyes open for inconsistencies just in case. Pretty much all of this is done through Microsoft Word with Track Changes turned on (except content, which would probably turn the whole manuscript red if you tried!). Question: How does it feel to finally become a ‘published author’? How are you dealing with marketing and advertising? Have you done any public launch parties, book readings, or book signings? Have you met any fans yet? Answer: The day my book was released, I felt like my head was perpetually exploding. I couldn’t believe it. Now that things have calmed down somewhat, I must say, I almost miss the days when the only thing I had to worry about was writing. Now, it’s up to me to figure out how to get people to read the book. Red Adept set up a blog tour, which garnered some reviews and attention. Meanwhile, I’ve spent far too much time jazzing up my book’s website and adding features to it. I’m not entirely sure what the next step will be, but I’ve contacted my local paper and a handful of sci-fi blogs in hopes of drumming up some press. I’m also working on setting up signings and possibly consignments. So far, the only “event” I’ve had for my book was an open house my mom hosted for her friends. They all came over and cleaned me out of my current stash, and I signed their copies. It was a nice practice run for the future. I’ll be doing a Q&A and reading on WebbWeaver Books, a blog radio show. Question: What is your opinion on digital books versus printed books? Do you agree with the doomsayers who believe bookstores are dying? Answer: I think digital books are definitely on the rise. People are more tech-savvy and on the go these days, and the fact is, being able to read a book on your phone or tablet computer is just more convenient than always having to remember to bring a physical book. Print-On-Demand is also on the rise as publishers become more risk-averse. After all, the last thing anyone wants is a warehouse full of unsold books. That being said, there are things machines can never replace—the touch of a book, the smell, the nostalgia that comes with gazing at a well-worn favorite. And it will be a very long while before Print-On-Demand can make covers as attractive as traditionally published ones, if they ever do. I walked into a bookstore the other weekend and, after having spent months reading only POD and e-books, my eyes glazed over at the sight of all the gorgeous matte covers with foil details, the raised lettering, the 3D illustrations… I wanted to buy everything in sight! And they were all different shapes and sizes, each with its own character. Also, Amazon can tweak their algorithms as much as they want, but there’s really no replacement for browsing and stumbling upon something new. I think bookstores are in trouble, but there will always be at least a few around. Answer: Rules are made for a reason, but they’re also made to be broken. I treat the rules as guidelines mostly—guidelines I regularly bump up against to see what I can get away with. For writers just starting out, the rules are necessary for learning the craft. Just like violin teachers put tape on childrens’ fingerboards, experienced writers and editors across the years have produced volumes of guides to teach a newbie what to do to get the desired result. But like kids eventually take off the tapes and play their notes a little higher or lower where artistically appropriate, writers who have been at it a while start flinging the rules out the window. I know that as a violinst, I’ll regularly play my leading tones a fraction of a tone higher to lean into the resolution more. Similarly, as a writer, I’ll sprinkle a few adverbs here and there, make my sentences a little more lilting than the pounding, relentless style favored today, and generally mess around to see what I can get away with… how I can convey my characters’ voices through the standards of English fiction writing. Answer: No one book has had particular influence on my writing, but I have grabbed tips from reading other peoples’ fiction. For instance, I really liked Stieg Larsson’s use of flashbacks and back stories in The Girl with the Dragon Tattoo, and I borrowed the concept for Artificial Absolutes. Answer: I would ask Alice to take me to Wonderland, where we could have tea with the Mad Hatter and celebrate our un-birthdays. Answer: There’s one “deleted scene” from Artificial Absolutes that I really liked, but had to go because there really wasn’t room for it. The scene, which is a character’s childhood memory, is mentioned in dialogue. I had a written out version of it, but because it was pure back story that had nothing to do with the plot, it had to go. It’s the story why the protagonist, Jane, is called “Pony” by her older brother. Answer: Right at this moment? Lost Everything by Brian Francis Slattery, which represents a rare break for me to read some classic sci-fi. Since I started running an indie review blog, I’ve been scrambling to keep up with my queue and (somehow) find time to read mainstream books. To give you an idea of how hectic my reading schedule is, I just finished Upload by Collin Tobin last night and Mother of the World by Peter T. Allen two days before that, and I intend to start Oracle of Philadelphia by Elizabeth Corrigan on Monday when it’s released (which means I have to finish Lost Everything by Sunday). Highly interesting interview. Loved the comparison of violin-playing to writing. Mary Fan as a person makes me want to read her book. I still always think of Mary as Liberscriptus! Great to read more about her. 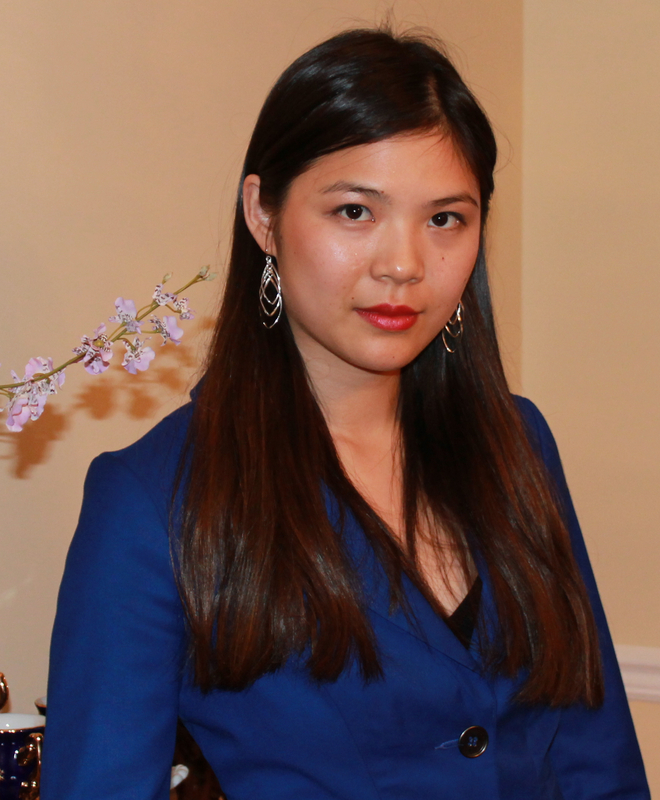 Leave a reply on "Meet the Author: Mary Fan"